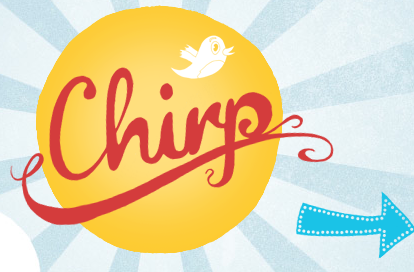 Twitter made quite some noise today at its Chirp conference for developers. Aside from announcing that all public tweets will be archived by the Library of Congress starting with those publish as early as 2006, Twitter has also announced three new interesting features – Places, Annotations and User Streams. In brief, here’s what these three features are about. Places – This is a new location feature which Twitter will implement to give developers a database of places around the world that will easily be associated with tweets corresponding to the location of the Twitter member who posted the tweet. Somehow, it works like location-based social tools such as Gowalla and Foursquare, although Twitter would not rather call it as a “check-in” facility. Annotations – This is quite an interesting new feature as it will allow developers to incorporate arbitrary metadata to any tweet in the Twitter public timeline. These metada include information such as which tweet was a specific tweet made in reply to, the location where the tweet was posted, as well as the app used for posting/creating that tweet. User Stream API – This will provide developers access to feed of user actions such as mentions, favoriting, and friending done by users on their individual Twitter accounts. In addition to those three new features, Twitter is also launching a new site which will host various Twitter development resources. The site, dev.witter.com will feature documentations, and other information useful to developers.